In the near future, Earth’s natural resources have been depleted and now the planet relies on space stations for food. In one of those stations, Saturn 3, two scientists, Major Adam (Kirk Douglas, Lust for Life) and his assistant, Alex (Farrah Fawcett, Extremities), work alone together on a harvesting operation. Suddenly, a deranged man (Harvey Keitel, Taxi Driver) and his android arrives at the station hell breaks loose. Ah, this movie seemed to have so much going for it — great idea, beefy budget, excellent actors, top-notch technical crew — and yet the film was a critical and financial failure. 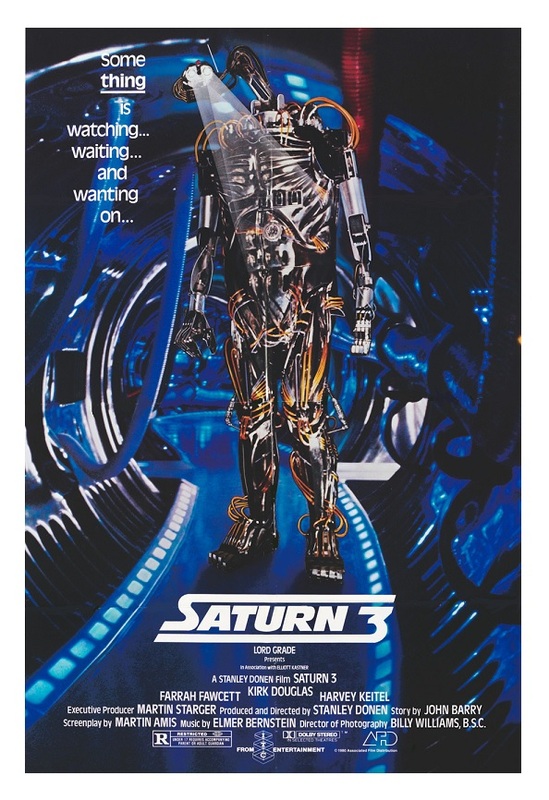 I was rooting for Saturn 3, and it made me kinda mad that it somehow slipped through the fingers of lots of talented people. Martin Amis’s script was based on an original story by Oscar-winning production designer John Barry (Star Wars and Superman: The Movie), who was all set to make his film debut here. Apparently, Barry was fired just a few weeks into the filming (he allegedly didn’t get along with star Kirk Douglas). Producer Stanley Donen (On the Town and Singin’ in the Rain) took over the direction and it is immediately clear that he didn’t have any understanding of the sci-fi genre. The movie is badly lit, and costumes and sets seem more appropriate for a discotheque. Saturn 3 shows signs of post-production tampering, with shaky editing, and unresolved issues. It’s too bad because I thought that premise of the film deserved better treatment. I also liked the android — it’s pretty creepy! This is one of Farrah Fawcett’s failed attempts at movie stardom. Needless to say, Fawcett never found the right vehicle and resumed her career in a series of popular TV movies. Harvey Keitel was dubbed by British actor Roy Dotrice (Amadeus) because his Brooklyn accent was determined to be inappropriate for the role (why hire the actor in the first place?). 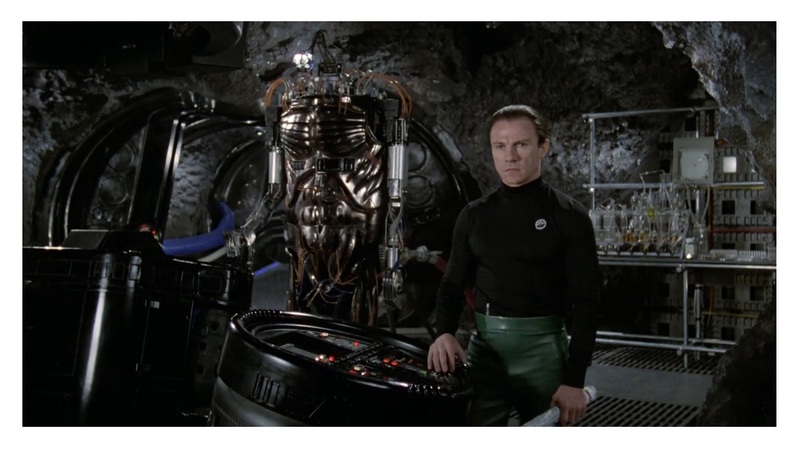 Now that Keitel is famous, and we are familiar with his voice, the mid-Atlantic accent adopted by Dotrice is very distracting. Saturn 3 tries to ape the far superior Alien (1979), which was released the previous year; it doesn’t work. It’s the kind of movie that begs for a remake. In the right hands this film can be commercially & artistically successful. Color, 88 minutes, Rated R.